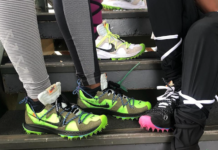 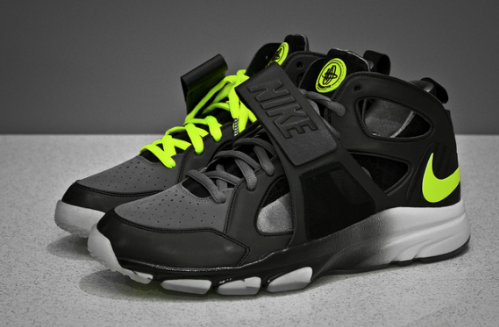 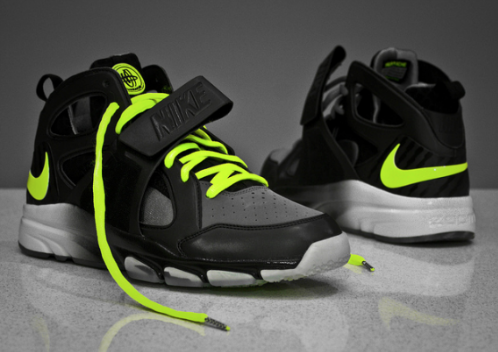 Another new colorway of the Nike Zoom Huarache TR has surfaced, this one featuring a grey, black, white and volt colorway. 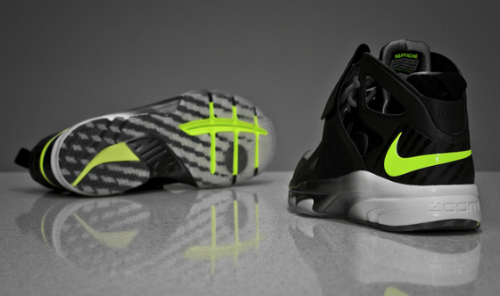 These new Huarache TR also features a Pro Combat insole and a clear translucent outsole. 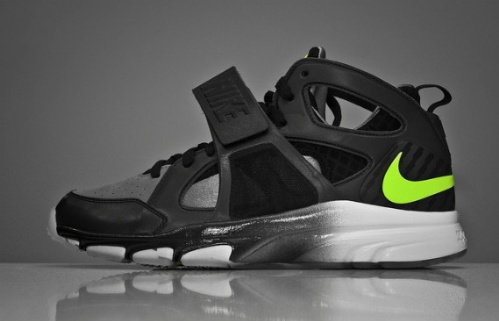 A black leather takes up most of the Zoom Huarache’s “exo-skeleton”, while a cool grey is seen on the toe box and sock liner. 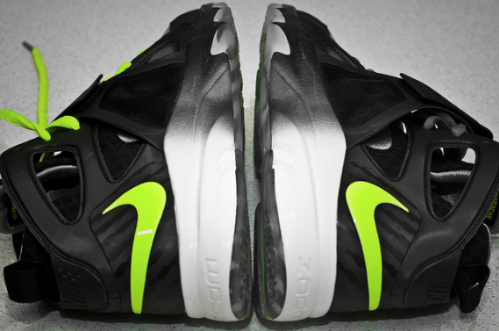 A white to black gradient midsole adds a nice touch to the shoe, as a volt green is used on the swoosh and tongue logo to add contrast. 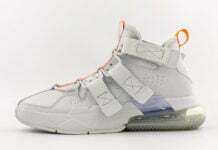 As of now, no release information has been given but stay with SneakerFiles for the latest.